My town has suffered burst pipes and potholed roads after winter tightened its icy grip. Just around the corner from home, firefighters were called after the feed pipe to the water tank in the loft of an empty listed building split and caused extensive flood damage. I’ve been more fortunate, though it’s been so cold that pieces of vitreous china have broken off the rim to one of my outside WCs! I took the precaution of closely inspecting the supply pipework in the nearby outbuilding and this revealed a fragile joint – a disaster waiting to happen. A quick easing of the stopcock with WD-40, then turning it open and shut a number of times, permitted a solder repair to be made. 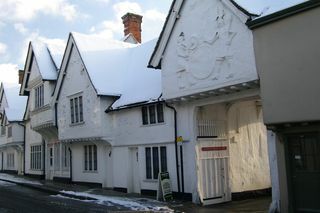 The SPAB has some tips for protecting old buildings from cold weather at http://www.spab.org.uk.